Has anyone seen the sun lately? Nope - me either! This winter has sucked and summer cannot come quick enough! At the moment it's still more rain, wind and hail than any form of vitamin D so what could we all need more than a bit of a holiday in a bottle. 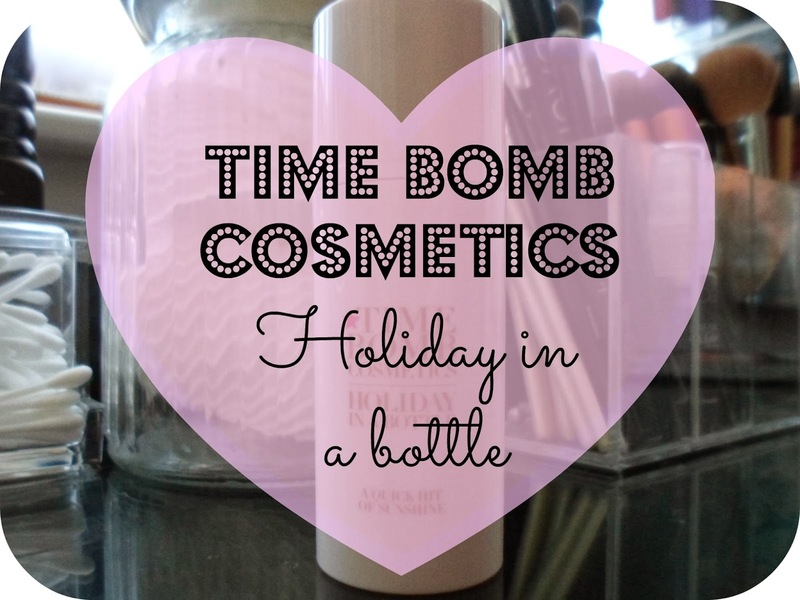 Which is exactly what this stuff is - Time Bomb Cosmetics : Holiday In A Bottle. With the weather we've been having the last few months I'm as white as a sheet and hating every minute of it - I could really do with any form of tan! This is where Time Bomb Cosmetics comes in! 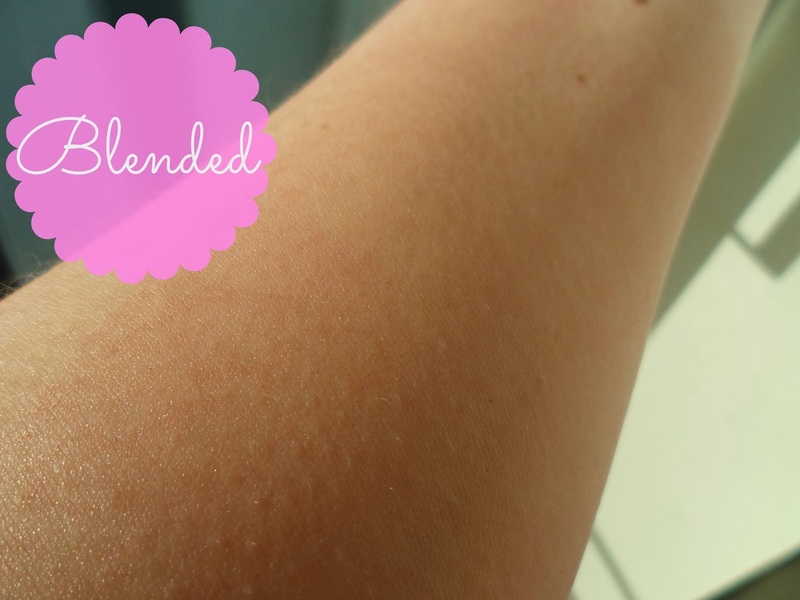 This stuff isn't a fake tan or a stain - just a gorgeous liquid sunshine type product! 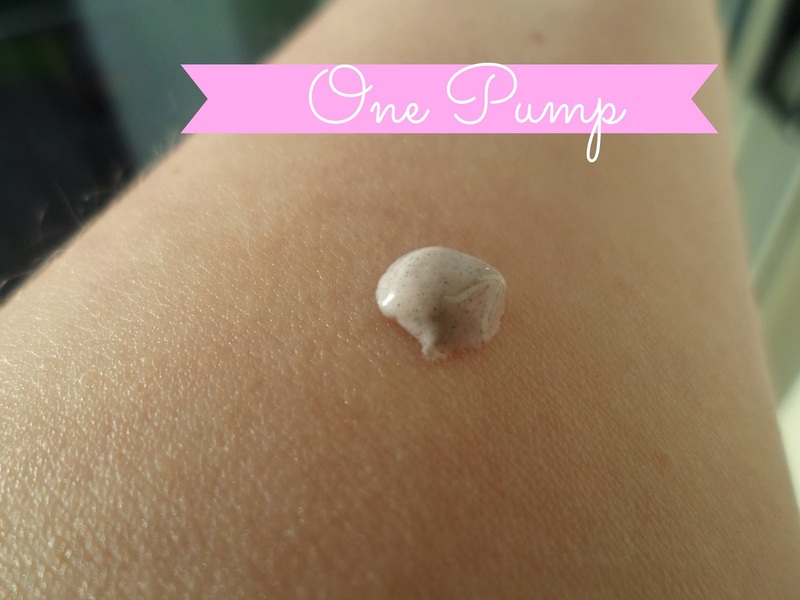 A product to put on under your foundation (well that's when I've been putting it on anyway! ), this stuff is a gorgeous instant complexion boost and that quick hit of sunshine we've all been dying for! If you've read my blog before you know I'm all for a shimmer and a glow and this stuff really does the job! Holiday in a bottle comes in two shades and the one I have been using is in the shade 'Sunkissed'. The only ever product I have used that is similar to this stuff is Soap & Glory's Glow Job and that was a long, long time ago and I have to say I do prefer this version from Time Bomb. When pumped out this product comes out a grey, silver-type colour - a bit like a highlighter. 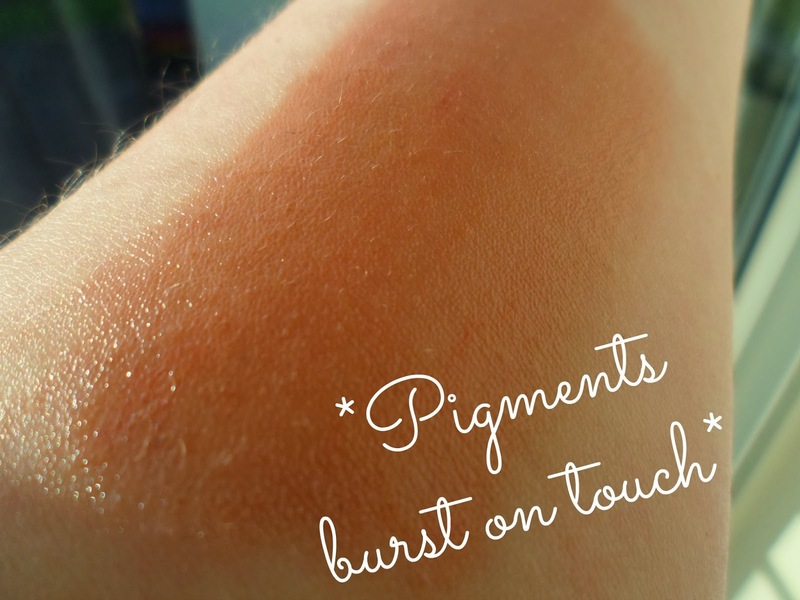 But as soon as you start to mix and blend the product the micro-pigments start to burst and it immediately turns into the glowing tan shade you imagine which helps enhance your natural complexion. This stuff does need to be blended well especially into the neck and I've found it best to do it just with your hands, no make-up accessories needed. This is great for all skin tones and gives a great subtle glowing base to start your make-up for the day with - or you could even just wear it on it's own! This is the first product I have tried from Time Bomb Cosmetics and I've been really impressed I really want to try out more of their range - they have sooo many products from skincare to haircare to jewellery! Oooh this does look swish, and I've heard a lot about Bomb cosmetics lately! Liking the look of this product! love your blog, im a new follower! Ooh, I thought it was going to blend out more orange than that! I do love a fake tan, but I think it will take a lot to tear me away from Fake Bake or St Tropez!